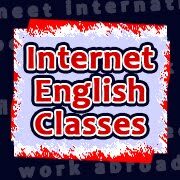 Internet English Classes: Why Skype? Taking English lessons online makes it possible to learn English from home or your office, thus far more comfortable and less time-consuming. Since we work from home, we can reschedule lessons more easily, in order to adapt to your professional and family responsibilities. Since we work from home, we avoid office and transport expenses, which allows us to offer a more competitive price than conventional academies, without impacting the quality of the service. Mastering a new language requires really long hours of exposure, therefore it is indispensable to provide a more affordable price. In our one-to-one classes, we can focus on the particular needs and motivations of each student. No group lessons with uneven levels, too much grammar and little conversation. Besides, after teaching English full time over the last nine years, I have developed an effective and engaging method that I share with all my teachers. Further details about the method can be found below. Definitely, my recommendation is to take lessons via Skype, because this way the student can see all the written corrections in real time, and links and files can be shared easily. However, many students prefer to take lessons on the phone on their way to work or during lunch break. In such cases, the corrections and activities are sent by email after the class. In our lesson you will do a lot of speaking, so you can boost your confidence in your use of English. Speaking with our native speakers, you will tune in your hearing and improve your accent, and you can even change teachers after some months in order to practise other accents. We will discuss day-to-day topics from life and work, mainly focusing on activities related to your specific goals: small talk, Business English or English for a specific profession. In doing so, you will dramatically expand your vocabulary base for situations in which you are most likely to speak English. Rather than following a long list of grammar lessons, we focus on the particular common mistakes of each student: pronunciation and grammar mistakes, unnatural expressions due to literal translations. We write down every single mistake! We also provide a lot of vocabulary and expressions, adapted to every register: formal, informal, idioms, professional jargon, so you can express yourself naturally and to the point. We write down every single mistake! Quite certainly the biggest problem for many students, it seriously affects their speaking and listening skills. Often overlooked at schools and language academies, we see it as a big priority from the very beginning. We will teach you how to properly pronounce vowels, long vowels, groups of consonants and not pronounced letters in many accents. Even though most of our corrections are brief explanations and reminders, we can also provide a wide variety of oral drills and written exercises, so you can eliminate your most common and basic mistakes. As homework between lessons, we will send you articles, videos and text files, so you can keep building up your vocabulary and training your listening with different accents. We will use activities on a variety of topics, trying to focus on your profession and interests. To master a language, It is indispensable to have exposure to it for many hours, not just during class time. Technological advances in transport or communications lead to an ever increasingly global economy. English is the de facto international language in almost every sector and region in the world. Those organisations and individuals that embrace it are opening up vast opportunities in business, travel and leisure, whereas those who don't are met with shut doors, and are far more vulnerable to the sudden shakeups of their local economy. You will practise your speaking with us in simulated job interviews, work meetings, negotiations and presentations in several economic industries and departments of a company -such as IT, human resources, sales & marketing, legal, operations-, so you can prepare real life conversations beforehand. We have many lists of vocabulary and expressions suitable for the above mentioned situations, with a focus on phrasal verbs and rather informal expressions, which are more common in spoken than written language, which is more formal and more easily recognised by most students. We will also provide you with topic-related articles and videos. Our students most often request lessons to prepare the following ESL (English as a Second Language) exams: Cambridge Preliminary (PET), First Certificate (FCE, upper intermediate level), Advanced Certificate (CAE) and Proficiency (CPE, near-native), TOEFL, IELTS (increasingly popular in the academic world), Trinity (arguably the most different test), and others. We can help you choose the most appropriate test for you. In every case, you will have to prepare the four basic language skills: reading, writing, speaking and listening. For exam exercises with long texts, it is crucial not to lose track of time, so you should follow a certain sequence to avoid reading the questions, the possible answers and the main text too many times. We will explain you the process so you can practise during class and on your own. Exams like those of Cambridge usually contain journalistic and novelistic texts, whereas TOEFL or IELTS are more technical or academic, so choose texts to practise accordingly. To prepare grammar and vocabulary exercises such as those in Cambridge exams, we will work on lists of linking words, collocations and phrasal verbs, which are the most common mistakes. From January 2015, Use of English belongs to the Reading part of Cambridge exams, although the type of exercises are basically the same. We will correct your writing exercises using the comment box on Skype, so can see the corrections and her the explanations in real time. In doing so, you will receive much more feedback than in a written correction. It is a great method for finding mistakes that hardly ever appear in conversations, because written language is more formal, making use of longer and more complex sentences. Quite the same method as in our conversational lessons, but following our many samples of speaking exams. We will do a lot of speaking with correction and feedback, with a strong focus on pronunciation. For many, the most dreaded part. Our work in the speaking all reading parts will help you expand and recognise advanced vocabulary. We will write down the transcriptions of our listening activities, comment on the particular features of the spoken language, which is more colloquial than written language, and get familiar with the most common accents. Many governments provide their citizens and companies with subsidies for educational and training programs, under names such as Spain's Fundae (former Fundación Tripartita). They are often paid out of the companies' national insurance contributions for their employees, or those of self-employed professionals. We will soon detail how to fulfil the requirements to request these subsidies in some of the countries our students usually come from. We will follow the same method mentioned above, whether it is conversation, Business English or exam preparation. We may introduce some differences in order to be compliant with these state-funded programs, such as using online educational platforms like Moodle, where we will upload all the materials for the course: class materials, homework, grammar explanations, exams, evaluations, diplomas and attendance sheets.